All Grain Plus Extract Traditional Bock homebrew recipe. 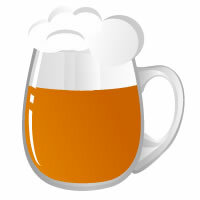 This homebrew recipe uses the following ingredients: Vienna DME, Dry Malt Extract - Munich - US, Viking Caramel Sweet, Viking Cookie Malt, Viking Golden Ale Malt, IBU Inject Hops, First Gold Hops, White Labs San Francisco Lager WLP810 Homebrew Yeast. This recipe was cloned from ESB at 20.